A corporate success story in pictures. The start-up company "Dingfelder und Hadler" (which later became D+H) was started in 1968 out of a garage on Brockdorfstrasse in Hamburg-Rahlstedt. The company, while still in its infancy in 1972, was enriched by his passion for technology and electronics. Helmut Kern joins D+H. Henner Dingfelder and Helmut Kern presenting their products at the "Roter Hahn" trade fair in Hanover, 1980. Giving ideas more room to grow. From the small garage start-up grew a company with an office, its own production, its own precision mechanics department and a small cafeteria – all under one roof. Inventing the future another way. The development test for the first drive with pneumatic cylinders took place in 1980 next to a block of garages. After D+H changed to the new location in 1985, the company completely expanded it in 1990. Getting a feel for things. 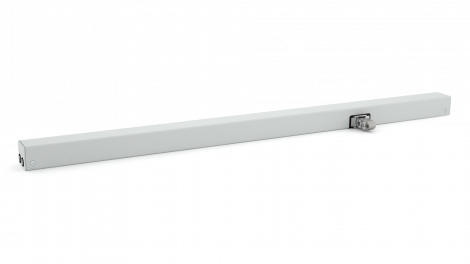 In 1992, Henner Dingfelder and Thomas Kern examined their first homemade rack and pinion together. Establishing at a regional level. Worldwide networking. In 1997, D+H moved its administrative and production site to Georg-Sasse-Strasse in Ammersbek, Germany, the current location for the headquarters. Passing the torch with confidence. The second generation took the helm in 2006. Dirk Dingfelder, Julian Kern, Thomas Kern and Christoph Kern (from left to right). D+H was awarded with the German Education Prize for exemplary talent management in 2015. Approximately five decades of corporate history at a glance. Winner of the "Grand Prize for medium-sized Companies Award"
Winner of the "German Education Award"
Over the course of D+H's history going back almost 50 years, the company has brought countless innovations to the market. Choosing the most successful is not an easy task. The three listed here helped give us a big push to the top. The first electric SHEV system on a sample board. The sample board (circa 1972) is the first complete smoke vent system from D+H. The letters EHP stand for Electric-Pneumatic-Hydraulic and were a product brand and previously part of the company's name. In addition to a smoke detector, button and drive for the fittings (below on the left), the system also included the first D+H ZA 500 rack and pinion drive, which happened to be powered by a repurposed windscreen wiper motor. The first chain drive with undisputed performance. The KA 30 is the first chain drive that D+H developed and manufactured itself. Its performance data with a stroke of up to 800 mm and 300 N of force gave it a unique selling point on the market in the mid-1990s. Its invention with a solid side bow chain made it possible to install a window drive immediately adjacent and parallel to the sash, meaning it did not protrude into the room as had been the case with rack and pinion drives up to that point. 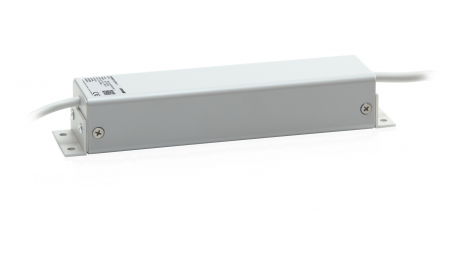 The KA is the device that does it all among D+H chain drives and remains a timeless classic. The smoke vent button that became the global standard. 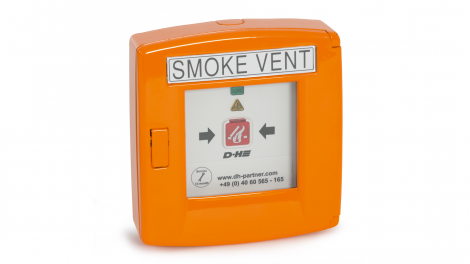 The orange-coloured smoke vent button has become an icon in the industry and a symbol associated with D+H. It can be found in countless stairwells and hallways all over the world. Since the company's founding, more than a million units have been sold. It and its successors remain D+H's top sellers. An interesting detail: The small graphic on the left next to the button was created by Helmut Kern. Just another example of how D+H's inventions become the standard over time. "Driven by the lasting values of our fathers; we are shaping the future of D+H on international markets with our passion and sound judgement. We are trying to turn the complex challenges of our digitised world and simultaneous demographic change into an opportunity."